Pham Bich Van, general director of Ho Chi Minh City-based Sacombank, spoke about the investment opportunities in Viet Nam during an annual conference in New York on stock investment in the Asia-Pacific region. JP Morgan Chase gave the banker the opportunity on September 25, the first day of the conference, as many international investors at the conference wanted to know what Viet Nam had to offer. JP Morgan’s research director, Sriyan Pietrsz, said numerous investors had called him because they had a special interest in Viet Nam. After Ms. Van finished her presentation, more than 20 investors met with her to discuss doing business with Sacombank. On the afternoon of September, an information session on doing business with Viet Nam was held in the main hall, chaired by JP Morgan managing director David Fernandez. Dominic Scriven, a co-founder of Dragon Capital Fund in Viet Nam, and Dr. 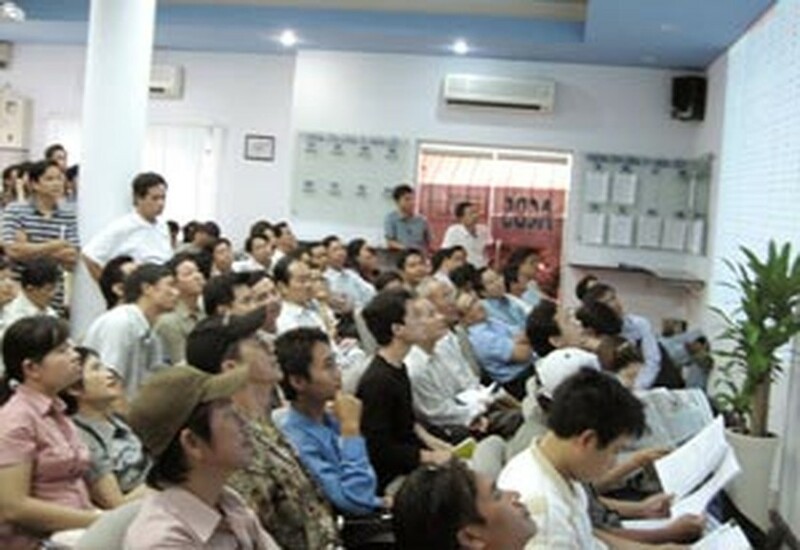 Le Dang Doanh, who wrote this article, talked about the Vietnamese economy before a 100-strong audience. They covered Viet Nam’s strengths and weaknesses, highlighting its high growth rates, economic and political stability, strategic location, young and skilled workforce, the rapid development of its stock exchange, and other strong points. Investors raised many questions about the laws, the cap on foreign ownership in equitized State companies and State-run banks, the pace of equitizing State companies, their rights on the board when the cap is 30%, and many other issues. After their talks, the two speakers were plied with numerous questions. 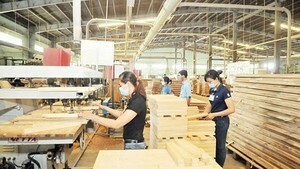 Common remarks from the international investors included how Viet Nam’s financial sector had developed slower than the economy, the insurance and banking sectors were still relatively undeveloped, and equitization of State companies remained slow. They asked for improvements. JP Morgan was very delighted with the proceedings and announced it would send a research director to Viet Nam this October and organize a similar conference in Beijing in April 2007, extending the event with a visit to Viet Nam. The JP Morgan director told this writer the fact that investors were interested in Viet Nam was a big opportunity for the country, an opportunity that few countries saw. He expected Viet Nam to facilitate in terms of law and equitize many State companies to diversify the stock exchange’s commodities to meet the strongly increasing demands from international investors. The good news is that the world’s leading investment group has recently forecast the Vietnamese economy will rank 17th in the world by 2025.